Photo: Dr. James Tyler Kent, Professor of Homeopathic Materia Medica at Hahnemann Medical College, Chicago. 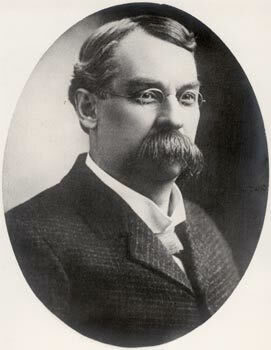 Dr. Kent is considered the father of modern homeopathy. He published his Repertory in 1897. Photo: The Secretary, Ministry of AYUSH, Vaidya Rajesh Kotecha, addressing at the International Convention on the World Homoeopathy Day, in New Delhi on April 09, 2019. 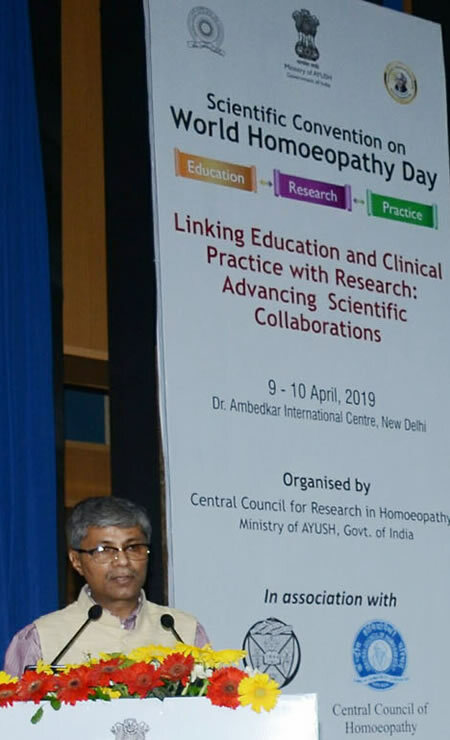 New Delhi, April 08, 2019 — On the occasion of the World Homoeopathy Day, a two-day convention is being organized on 9-10th April 2019 at Ambedkar International Centre in New Delhi by the Central Council for Research in Homoeopathy, an autonomous research organization, and the Ministry of AYUSH, Government of India. The World Homoeopathy Day is observed to commemorate the birth anniversary of the founder of Homoeopathy, Dr. Christian Fredrich Samuel Hahnemann. Mr. Vaidya Rajesh Kotecha, Secretary of AYUSH, Mr. Roshan Jaggi, Joint Secretary, Ministry of AYUSH, and Mr. Nilanjal Sanyal, Chairman, Board of Governors, Central Council of Homoeopathy, will grace the Convention. To recognize exemplary work in Homoeopathy, AYUSH will confer awards relating to Homoeopathy for Life Time Achievement, Best Teacher, Young Scientist, and the Best Research paper. Students will be awarded scholarships under the Short Term Studentship in Homoeopathy and ‘Quality MD Dissertation in Homoeopathy.’ The government will sign MOU’s with some Post-Graduate Homoeopathic Colleges. The vision behind the agreement would be to provide impetus to research infrastructure, which, in turn, would further orient the students towards research. The Convention will also review the path trodden so far, take stock of the challenges faced, and formulate future strategies for development of Homoeopathy. According to the convention organizers, there is an imminent need to focus on improving the quality of education and enhancing the success rate of an average practitioner. There is also a need to ensure the production and availability of high-quality homeopathic drugs in the market.